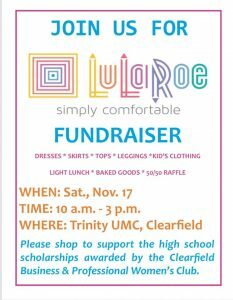 CLEARFIELD – The Clearfield Business & Professional Women’s Club (BPW) will be holding a Lularoe fundraiser. It will be held from 10 a.m. – 3 p.m. Nov. 17 at the Trinity United Methodist Church, 121 S. Second St., Clearfield. The event will feature the unique, limited edition prints and patterns of Lularoe fashions from five independent retailers. Retailers will offer a variety of styles, which will include but not be limited to dresses, skirts, tops, leggings and more. Clearfield BPW will have a light lunch and baked goods available for sale. The club will also be holding a 50/50 raffle. 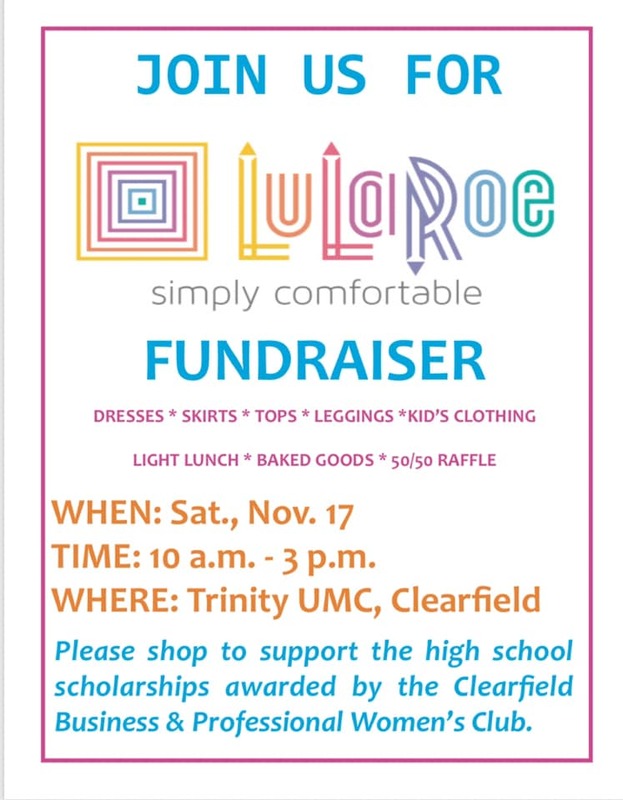 Proceeds from the Lularoe fundraiser will support the high school scholarships awarded annually by the club. The club is holding this event in conjunction with the Clearfield Revitalization Corp.’s Holly Days Shop Walk downtown. Interested persons can follow the Clearfield BPW Club on Facebook @BPWClearfield.